Digital scrapbook alphabets...they're like stickers that never run out and that you can modify in as many ways as your imagination will let you. 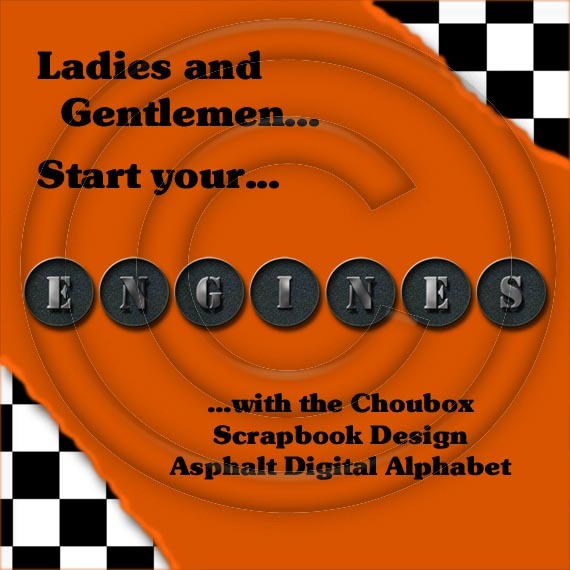 Much like a package of cardstock, metal or acrylic letters that you would buy in a store, a digital alphabet can be used to create a title, embellishment or any other page element that you can think of...only digitally. The alphabets below are only the beginning of my growing collection. 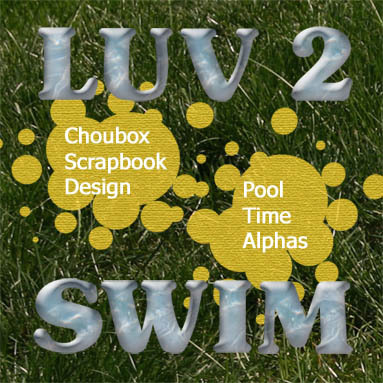 In fact, my "swimming pool" digital scrapbook alphabet has two cousins that I will be releasing soon - one of which is going to work great on all your winter layouts. Who is your favorite driver?... 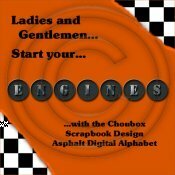 Are you looking for the perfect compliment to your racing digital scrapbook layouts? Then check out my asphalt alphabet - complete with the grit of the race track and the sheen of freshly polished rims. Included in this kit: One upper-case alpha set (as separate files) and numerals 0-9. If you have little ones at home, then you are sure to have a stack of pictures of them in a baby pool, just waiting to be put in your digital scrapbook. The blue swirl of this chunky alphabet is a great complement to the theme. 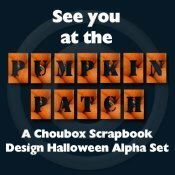 It's that time of year again and as we all gear up for Halloween, the season wouldn't be complete without a trip to the pumpkin patch. 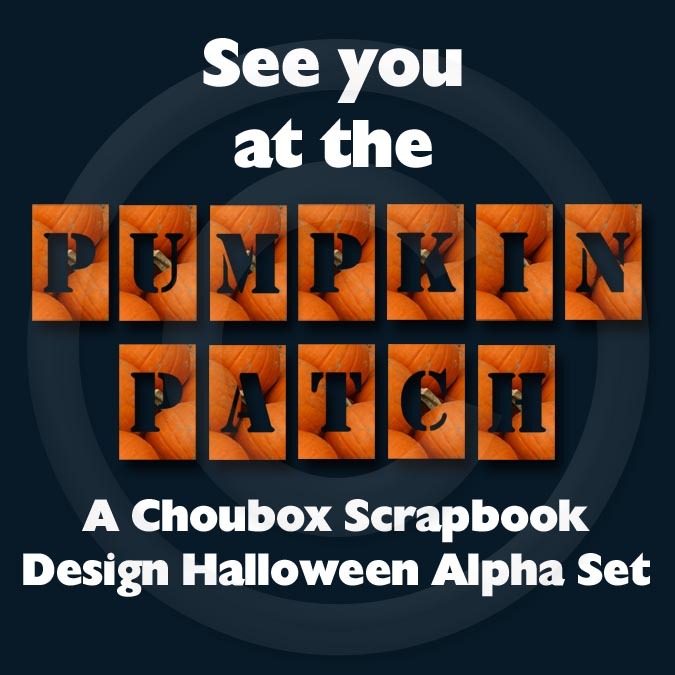 This alphabet is straight and to the point...it's pumpkins with a great stencil cut-out, so your background shows through.